Head into the great outdoors and go on a real adventure! The picturesque nature of the Soca Valley is ideal for a relaxing break or an active holiday. 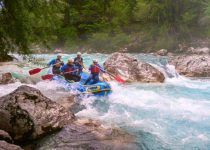 Enjoy sports activities, discover the wonders of nature and explore the Soca River. This pleasant valley, surrounded by the high peaks of the Julian Alps, is a paradise for all who wish to get away from the busy city scene. The striking nature of the emerald Soca River hides many remote corners where you will find peace. But the Soca Valley offers so much more than just relaxation in unspoilt nature and stunning views. 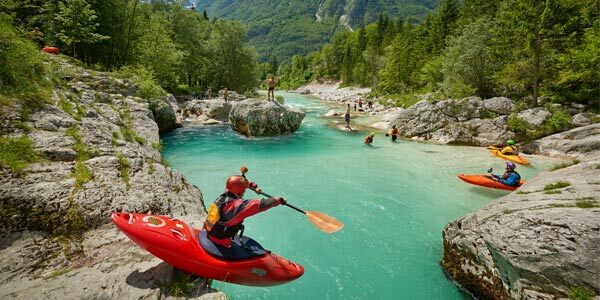 One of the most beautiful rivers in Europe – the Soca – is an important natural treasure of the Triglav National Park. It is famous for its deep emerald colour and brisk rapids in the upstream area. 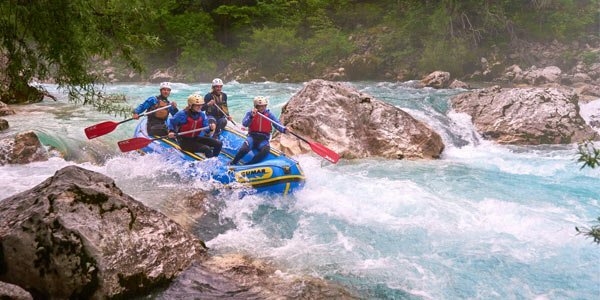 When you visit the Soca Valley, you shouldn’t miss the opportunity to go rafting. It’s very popular because of the Soca’s magical colours, its scenery and of course the amazing thrill you experience when undertaking this activity. Everything is organized at a very high level, with highly qualified guides and all the necessary safety equipment. Experience the thrill of white water rafting in the most picturesque setting imaginable! Unforgettable, breathtaking panoramic views on eight steel cable descents. 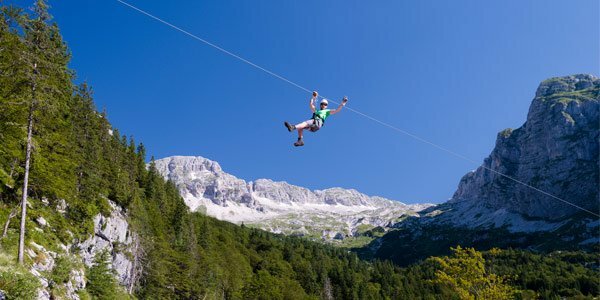 Experience thrilling rides from 100 to 150 vertical meters above the Učja River. 250m height difference I Altitude up to 200m I Descent speed up to 60km/hour I 8 steel wires of 250m – 400m I More than 2 hours of fun and adrenalin. Experience the Soca Valley from a bird’s perspective and have an unforgettable day! 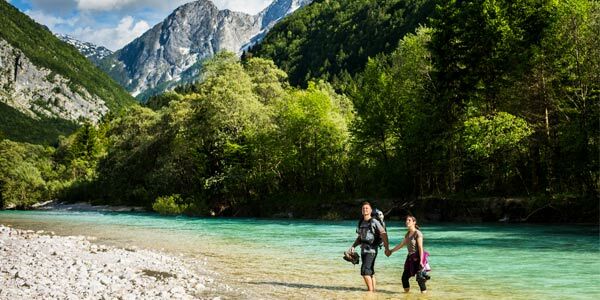 The mountain range of the Julian Alps, the pristine nature of the Triglav National Park and the refreshing emerald river make the Soca Valley one of the most beautiful hiking destinations in the world. Experience the Julian Alps through Via Ferrata on Mangart (2679m). 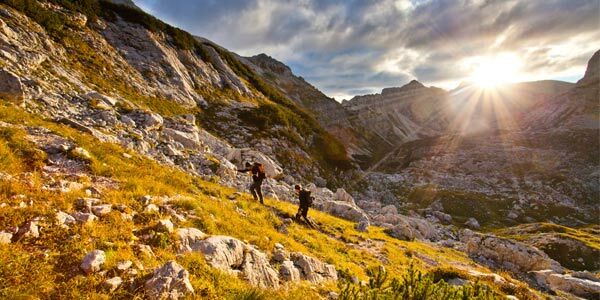 Go on a hiking trip to Krn and see beautiful unspoilt mountain lakes. Take a cable car ride to Mount Kanin and explore the high alpine limestone world on the top – the views are stunning! 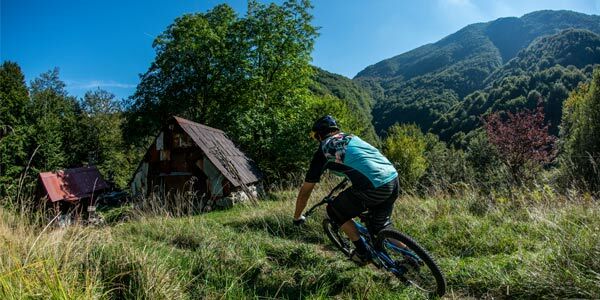 The Soca Valley is the perfect destination for mountain biking. 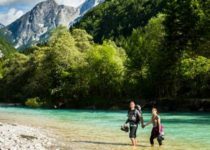 The diverse terrain has mountain and forest roads, mule paths, cart tracks and trails, situated in the magnificent natural surroundings of the Julian Alps. 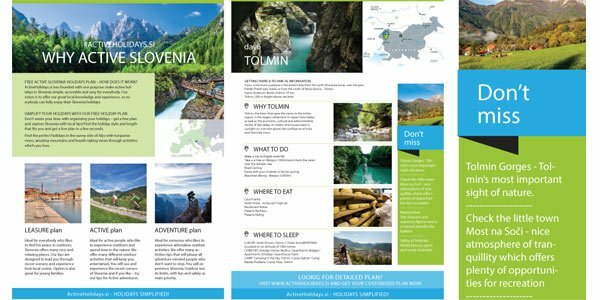 Enjoy magnificent trails along the Soca Valley. 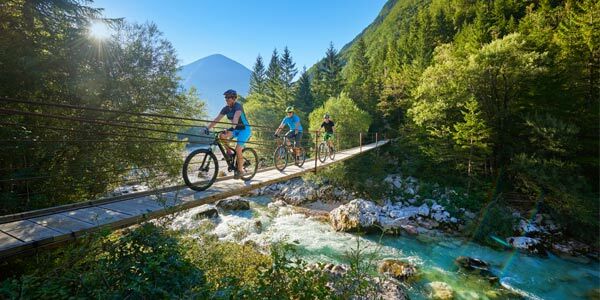 Ride on easy trails in beautiful nature and dare to cross the small bridges over the Soca River. Take advantage of mule paths from the First World War that can easily take you to the top of every mountain around. Descents are just mind-blowing. Best destinations are: Kobariški stol, Boka and Mangart. Use the Kanin cable car and descend from 2000m directly into the valley. Trails are suitable for experienced riders. The famous Mangart alpine road takes you above 2000 meters into the heart of the Triglav National Park, just beneath stunning Mount Mangart. Admire amazing views over the Julian Alps and feel the excitement of climbing the highest road in Slovenia. 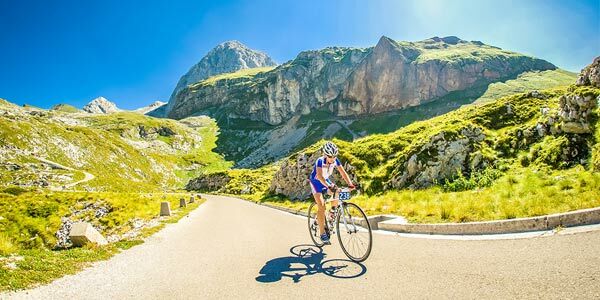 There are lots of great road cycling routes in and around the Soca Valley, from family cycling along the emerald river to short and safe tours, for all levels of cyclists.